The National Forest Spring Water Company has been on the Derbyshire business scene since 2003, providing a lot of small restaurants, bars, hotels and schools in the area with natural spring water. The business has developed and grown since the first bottle was produced over 15 years ago, with products in either plastic or glass bottles and available in 5 unique flavours which are school compliant. From this, the Highfield Drinks Group has now been formed, growing our product portfolio and also making positive changes to an already successful formula. These changes include improving the recipe for the flavoured water to make them sugar-free, made with natural flavourings and less than 7 calories per bottle, making the plastic bottle 100% recyclable and made from 25% recycled plastic and launching new and exciting products such as gin, presses and new flavoured water products. We bottle at source in Melbourne, Derbyshire and plan massive investment in the next 12 months to be able to increase our capacity for bigger orders and customers, including the capability to contract bottle and offer a bespoke label service to our customers for their events, conferences or general operations. 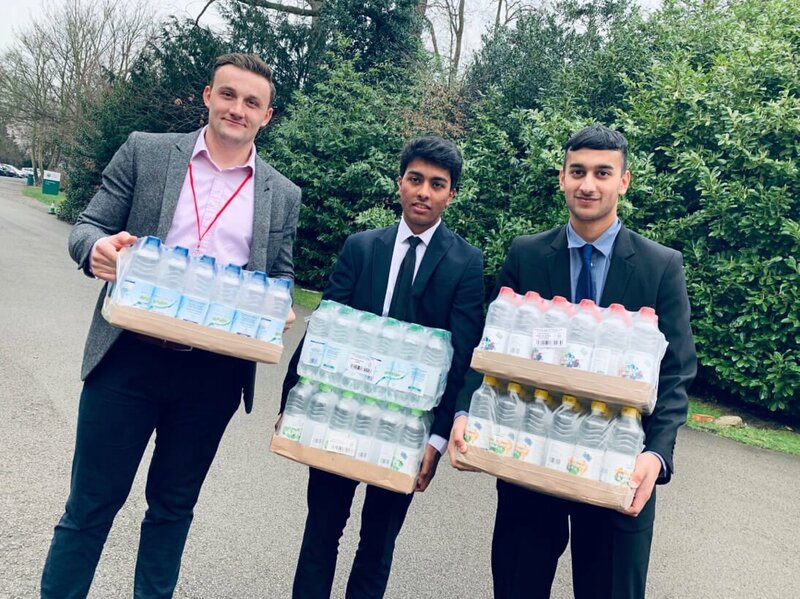 We are also looking at increasing our ‘Community Responsibility’ and with this, we provided fellow Marketing Derby Bondholder, Derby Grammar School, with cases of water for their Quiz Night, with all proceeds going towards their fantastic mission to Tanzania. This was a new and meaningful way that we could sponsor them and support them in their project with 100% profit from any sales of water going towards their mission (see photo below of us dropping the water off). We are also looking to support the Derbyshire Institute of Sport with cases of our still spring water so that their athletes can stay hydrated in both training and competition and discussions between us both have been very positive in the early stages. In the summer, a group of local Melbourne residents are doing the 3 Peaks Challenge in aid of the charity Little Stars, we will be supplying them with water for their mission. Keep your eyes peeled for more exciting news about changes to our current products and also our future ventures – anything that can be made with spring water has already been discussed! Gin will be the next launch which should hopefully be done before summer as well as a kids range of our flavoured, sugar-free spring water which will soon be available in 330ml bottles.